For anyone interested in learning more about a fairly unique tree with some amazing history attached to it, take a look at this site. 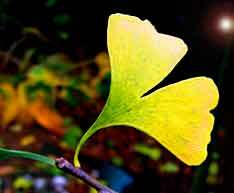 Even though the Ginkgo is my favourite tree, I still learned a few things. Click the image to link to the site.